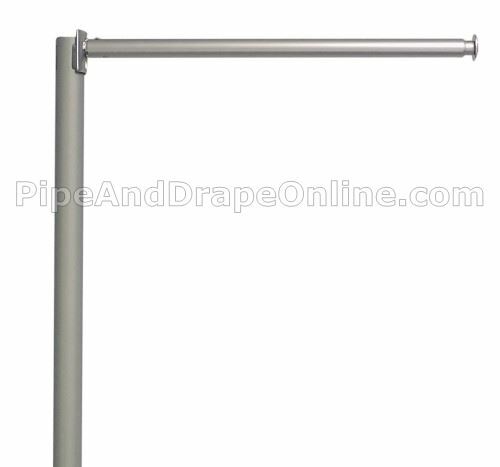 Small Clip Rod Support for hanging a light weight banner / signage, adding a drape or two to close off a small area of a booth or backdrop, or to complete your coverage on a narrow remaining section, without the need for another Upright and Base! Telescopes between 20 inches wide (minimum) and 34 inches wide (maximum). Recommended for use on our Fixed or Adjustable Uprights. 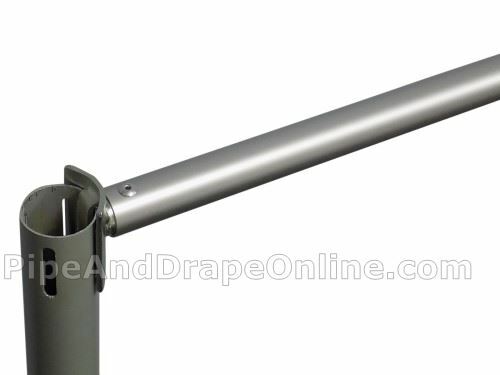 Though this item can be used on our Break Apart Upright, there may be an increased amount of leaning. 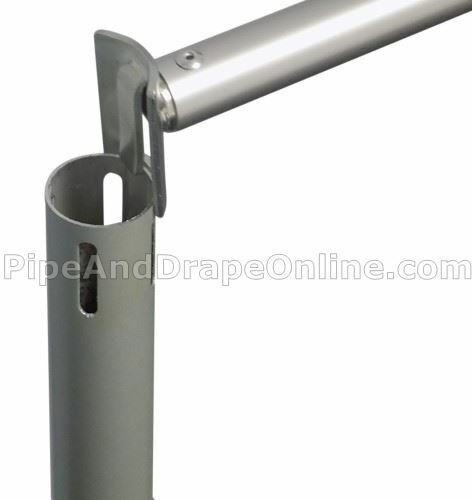 If using on our 3 foot tall Upright, you would need to remove the chrome cap on the top of the Upright. Quantity 1 = 1 Small Clip Rod Support. Upright and other hardware sold separately. we have rally enjoyed this pole to hang our own personal sign at our event. It makes it easier for our customers to find us. 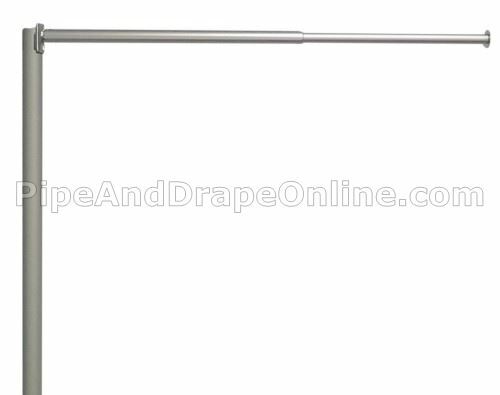 I purchased some of these clip rods along with some drapes to use as masking drapes for the sides of our booth. 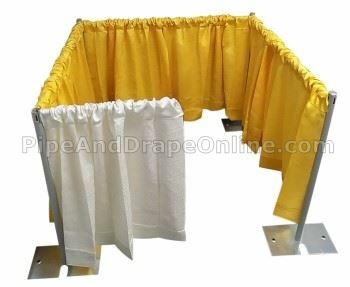 This is so the convention attendees can't see the stuff we put behind our booths at conventions. 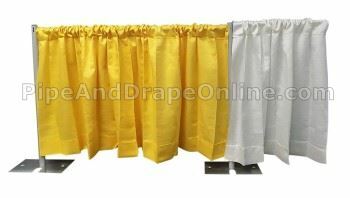 They work perfectly and would recommend to anyone looking to mask the items they are hiding behind their booth. Weight (Approximate, Each): 11 oz.